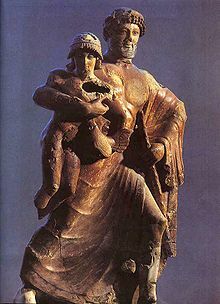 Aquarius is the eleventh astrological sign of the Zodiac, originating from the constellation Aquarius The Water Carrier. In Greek mythology, Aquarius is identified with Ganymede, a youth whom Zeus fell in love with. Ganymede is a divine hero whose homeland was Troy. Zeus in the guise of an eagle represented by the constellation Aquilla, carried Ganymede to Mount Olympus to be a cup bearer to the gods. Aquarius was the pourer of waters during the mythical great flood, via the constellation or Eridanus the river. In antiquity Aquarius was ruled by the planet Saturn, though since its discovery, Uranus has been considered as the ruler.